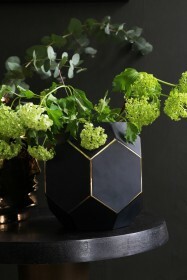 Sometimes simplicity can create complexity and that's exactly what this Honeycomb Jewel Vase emulates. The honeycomb shape means that the pale rose pink tones change as the angles slant and reflect the light. 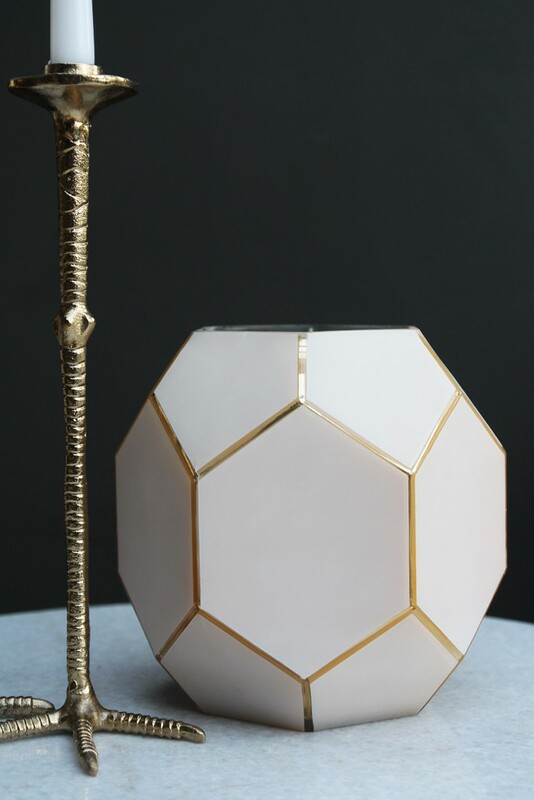 The gold detailing outlining the sides and the inside of the vase adds an element of class and makes this vase a feature all by itself. 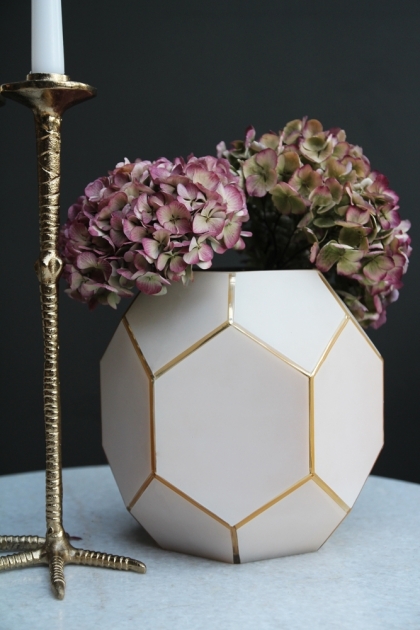 The art deco styling of the vase coupled with the pale pink colouring enables this vase to become an interior inspiration in most rooms and colour-schemes.